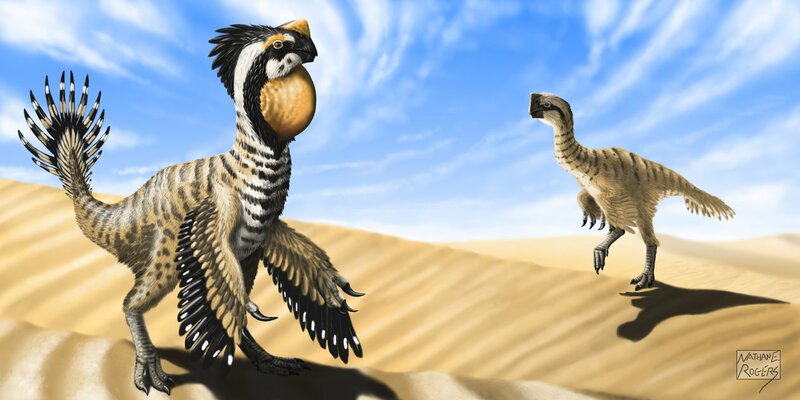 Citipati is a dinosaur that was discovered in the Djadokhta Formation of Ukhaa Tolgod in Ömnögovi, Mongolia. In the Gobi Desert. 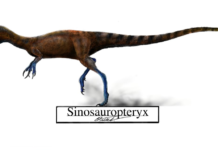 It was described in 2001 by James M. Clark, Mark Norell, and Rinchen Barsbold and given the name Citipati – which means “Funeral Pyre Lord” in Hindi. 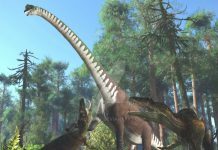 Some interesting Citipati facts are that these dinosaurs were about 9 feet in length, weighed approximately 500 pounds and lived during the late Cretaceous period – about 86 to 71 million years ago. 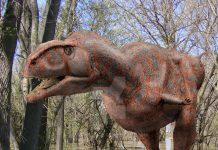 Another fact about this dinosaur is that it was given its ominous name because it was found in an area of the Gobi Desert that is famous for its “flaming cliffs” (also known as Bayanzag). It is therefore named after 2 monks from Buddhist folklore named the Citipati who are often pictured as 2 dancing skeletons surrounded by flame. 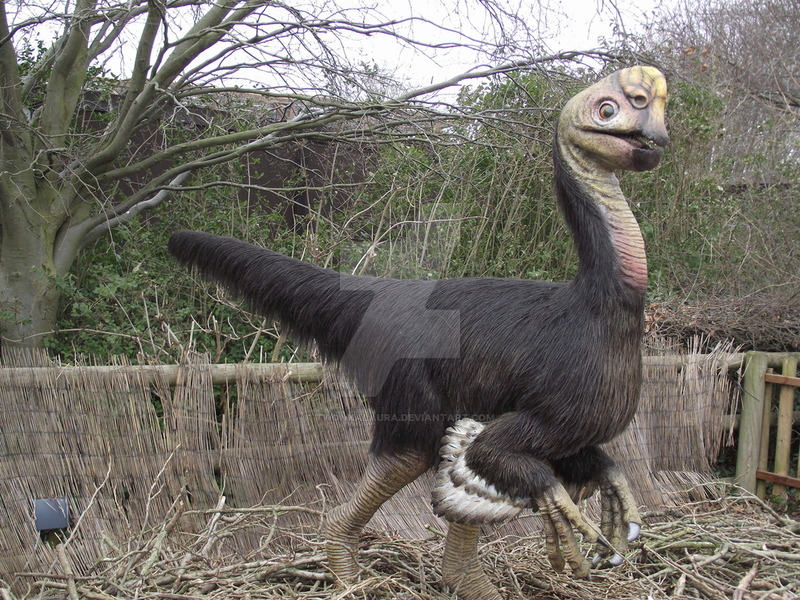 Depending on the Citipati pictures you look at, this dinosaur either looks like a bird or an emu. 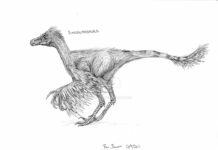 That’s because paleontologists aren’t exactly sure if this dinosaur had feathers, like other oviraptorids or had “traditional” reptilian skin. 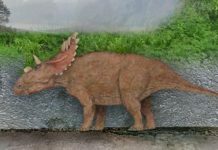 What is known about this dinosaur is that it was carnivorous – probably feasting off of small reptiles and insects – and probably made nests and laid eggs. 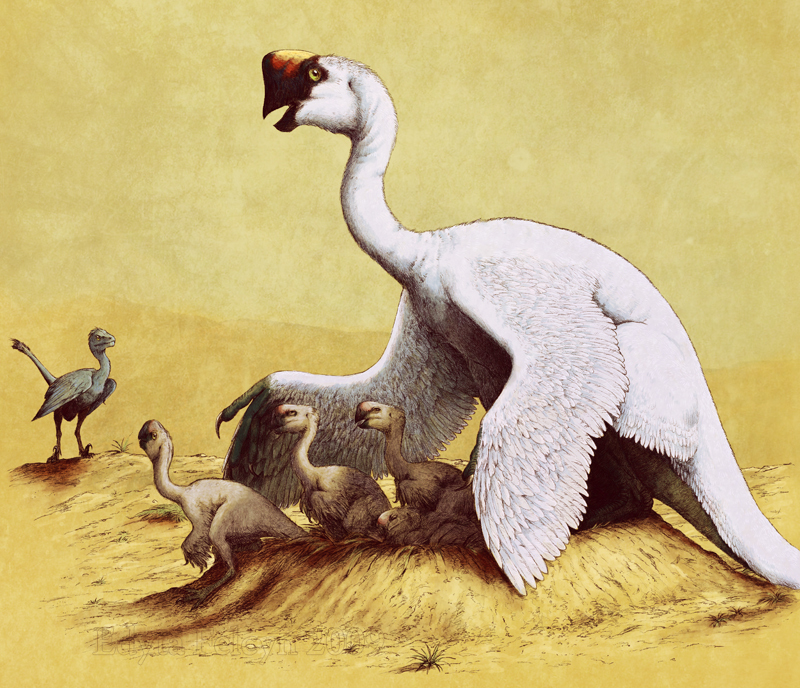 Paleontologists know it nested its young because the fossils of these dinosaurs have been found with the mothers still atop their nests. 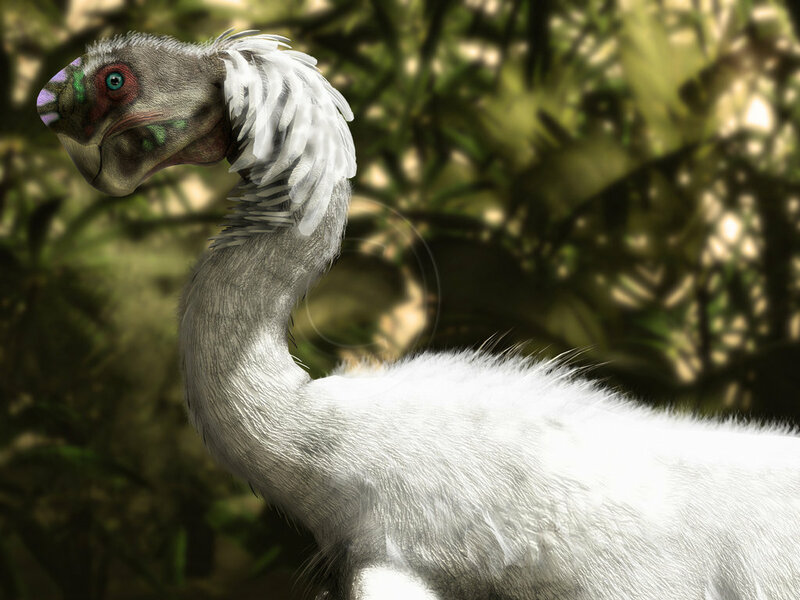 However, even though this dinosaur may have looked like and acted like a bird, that doesn’t mean that it’s a direct descendant of modern birds. 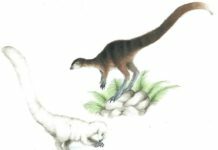 Paleontologists still haven’t made that connection – at least, not yet.